MALAGA doesn’t want its love affair with British tourists to come to an end because of Brexit. The tourism office has extended an olive branch to the thousands of Brits who frequent the city every year. 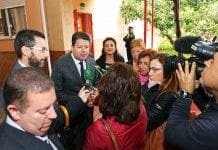 In an exclusive letter to the Olive Press, Tourism minister Julio Andrade stated British people account for 14.8% of the total international travellers that stay in Malaga. 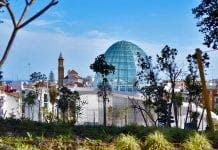 “With a record-breaking year last year for British visitors, we are sure that despite political changes, Malaga will continue to being a favourite destination for British tourism,” he said. He cited Malaga’s ‘great climate, safe streets and magnificent range of cultural and leisure activities’ will keep it on the map for Brits.